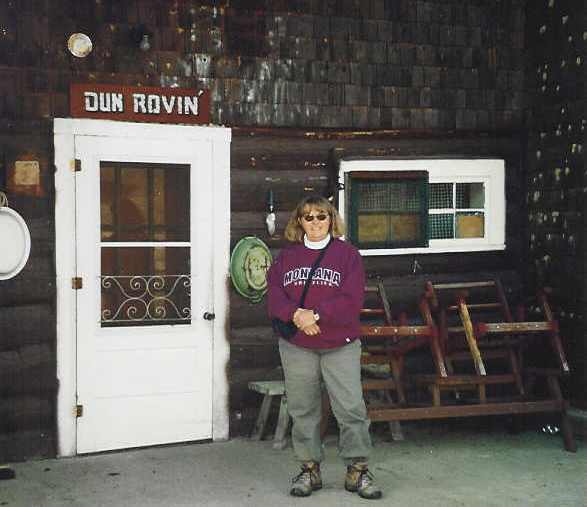 Check back frequently for the latest news from DaysAtDunrovin and Dunrovin Ranch. Links to PDF documents that you can download or print are indicated below. Listen UP! I'm talking to you! Welcome New Members! 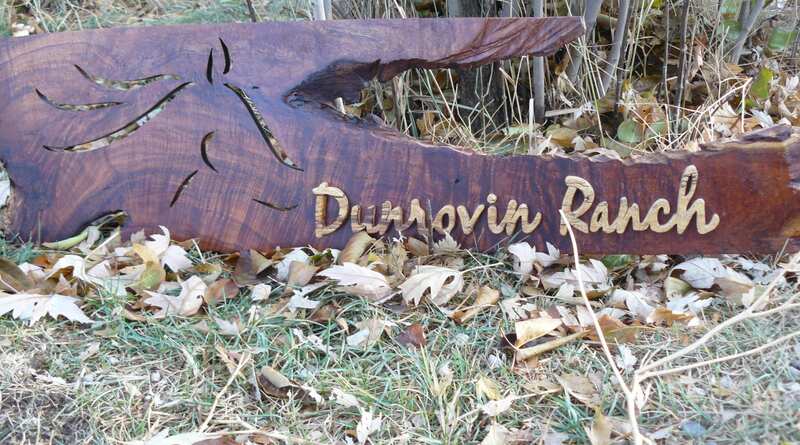 Be sure to check out the ABOUT section of the website to learn more about Dunrovin Ranch and our DaysAtDunrovin community. A Happy Easter Egg! 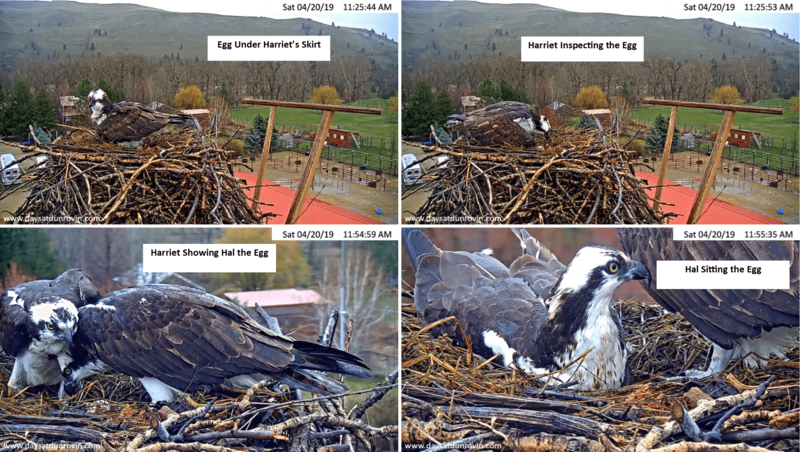 : Just in time to celebrate Easter in the tradional way with beautifully colored eggs, Harriet laid her first egg of the 1029 season on April 20th at about 11:20AM. Hal arrived shortly after and immediately demanded a turn at sitting on the egg. That Hal has turned into a real home body who loces to provide and take car of hid family. Musical chairs comes to Dunrovin: Confucius was right when he said “Music produces a kind of pleasure which human nature cannot do without.” Music should be a routine pat of everyone's life and we aim to make if a part of our DaysAtDunrovin community. 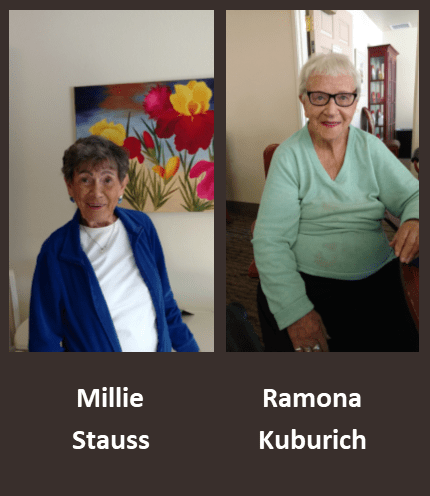 We have invited a songstress and extraordinaire, Charla Bauman, to guide us through a musical journey.. Join her with Tuesday, April 23 at 2PM as she engages with the residents of the Brookdale Missoula Valley Senior Community in a sing-along. Mystery is an 8 year old goof ball of a horse that is kind, gentle, and very cooperative. He still needs some additional training this summer before he goes to work as a guest horse. 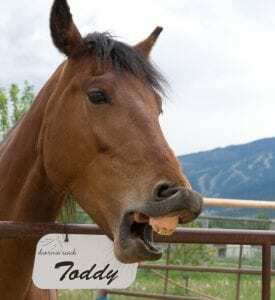 Oggy was born at Dunrovin Ranch's in May of 2017 and is full of himself. 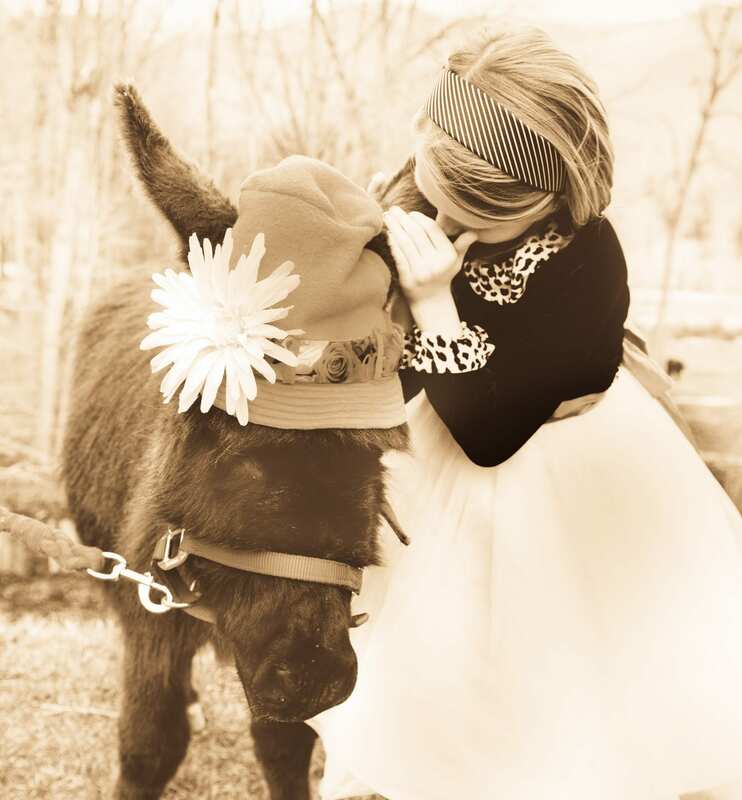 Oggy's world is one of learning - from his mother, his herd mates, and his human handlers. 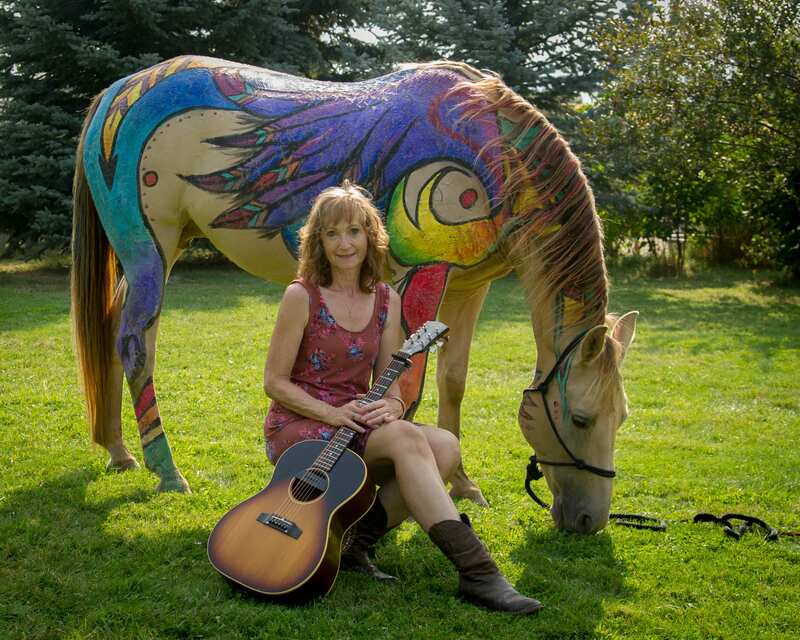 Pull up your chair, tap you feet, and sing along with songstress Charla Bauman as she boradcasts live from Brookdale Missoula Valley Senior Residence on April 23 at 2PM. Be sure to download the song book so you can add your voice! 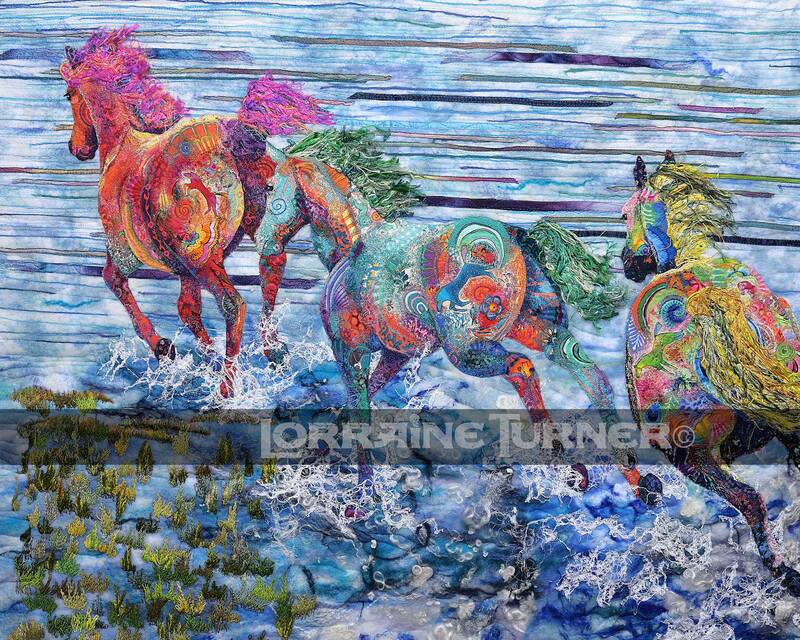 What a pleasure it is to welcome Lorraine turner to the DaysAtDunrovin community where she will share her world of Art and Animals. Her enormous creative spirit is matched only by the size of her heart and commitment to using her art to support animals and people in need of support and comfort. 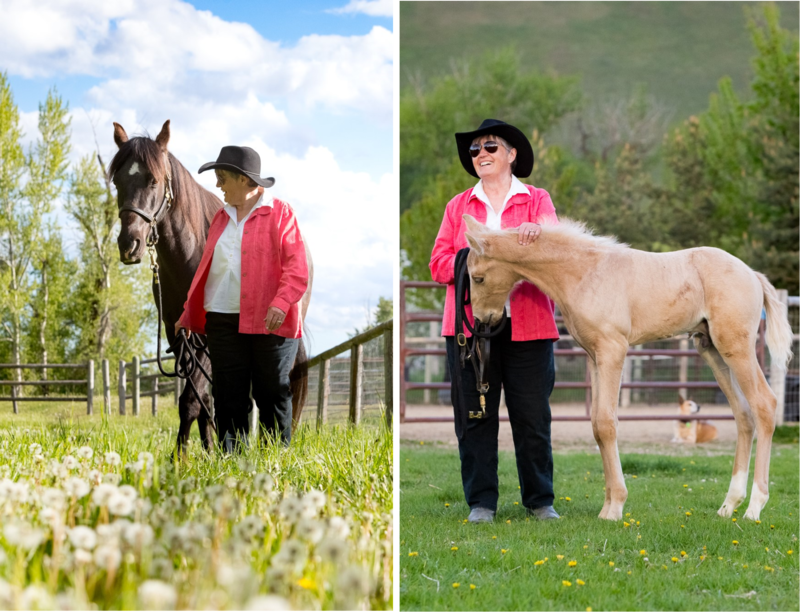 Each spring Dunrovin Ranch welcomes little cowboys and cowgirls to the ranch to experience the joys of partnering with horses and ponies. 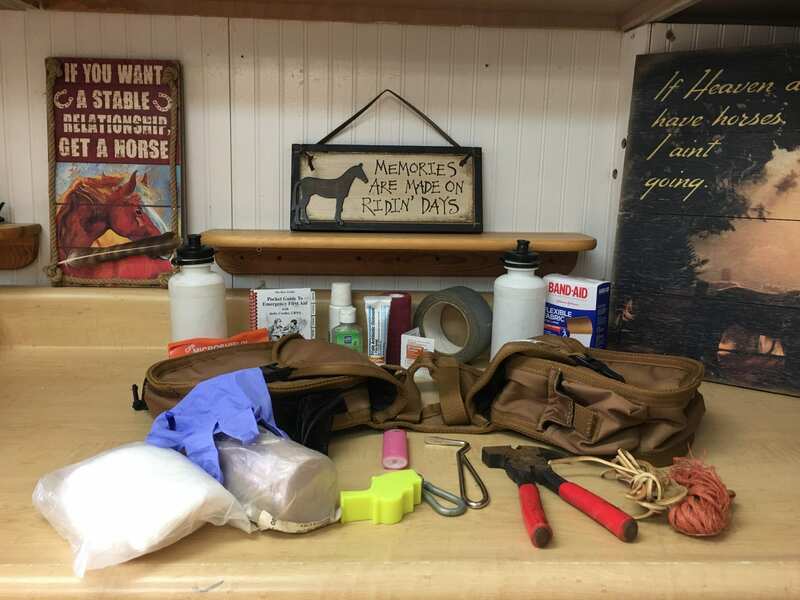 Our after school pony club and our home school horsemanship classes are the perfect way to transition from the quiet of winter to the hustle and bustle of summer. 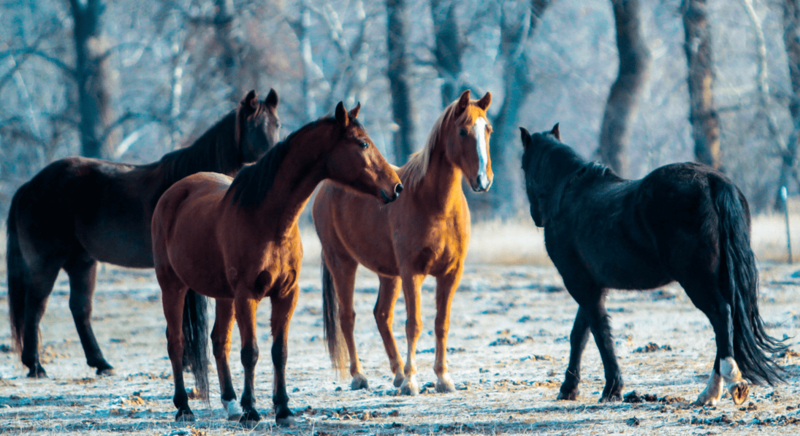 Spring has officially sprung, which means that the horses need to return to the main barn and riding area of the ranch after their winter off to rest and relax with their friends. 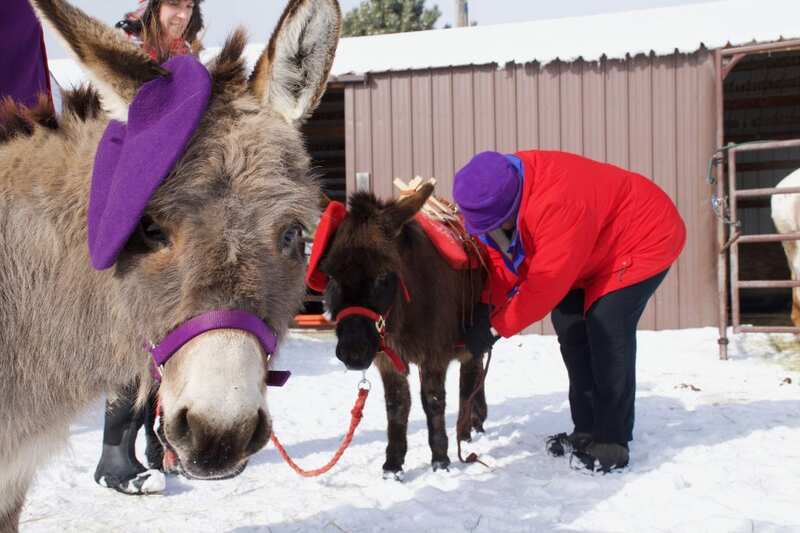 The first horses to come back will be those that are used by the young ones in our kids' after school programs. We are in for a treat when when we meet with two Missoula Valley Brookdale residents to hear their stories of how they have not let age keep them from experiencing the thrills of skydiving. A good trail guide must be prepared for anything and everything when guiding guests on horses in Montana's back country. Having the right emergency supplies is essential. 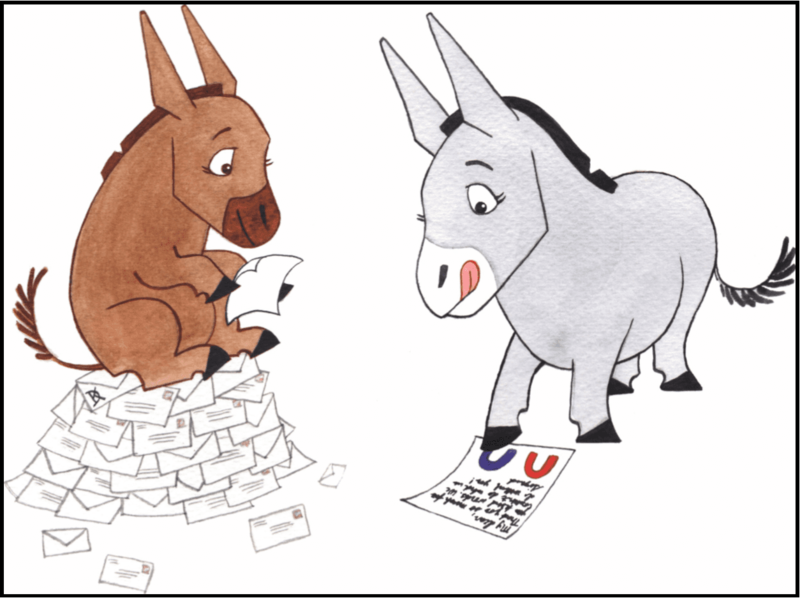 Donkeys and humans agree that patience is the key ingredient to forming a lasting partnership with an individual from a different species. 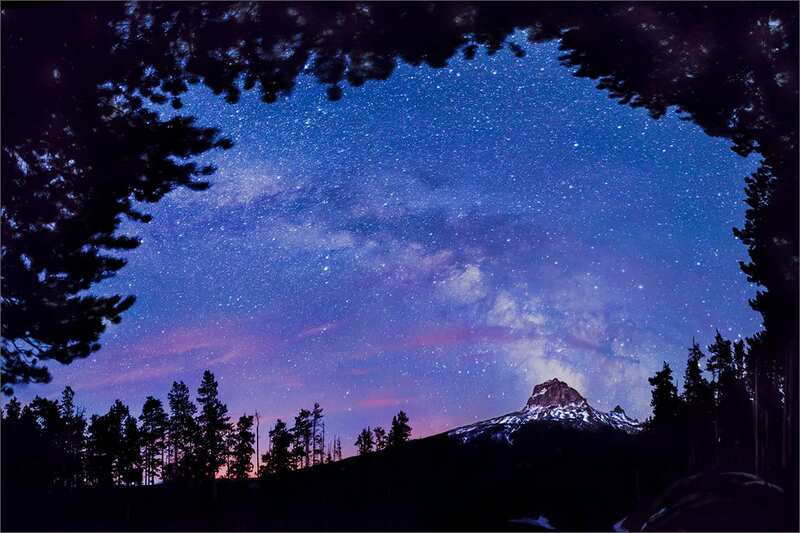 It is our home galaxy and has been the source of wonder and delight throughout the ages. It is not possible to witness it and not feel the enormity of space, to know that the number of stars within it are uncountable, and to thrill at the mystery of it all. Mother and son, Bonnie and Clyde are inseparable. He started out life under her care; and she will live out her life under his care. She is blind and he is her eyes. 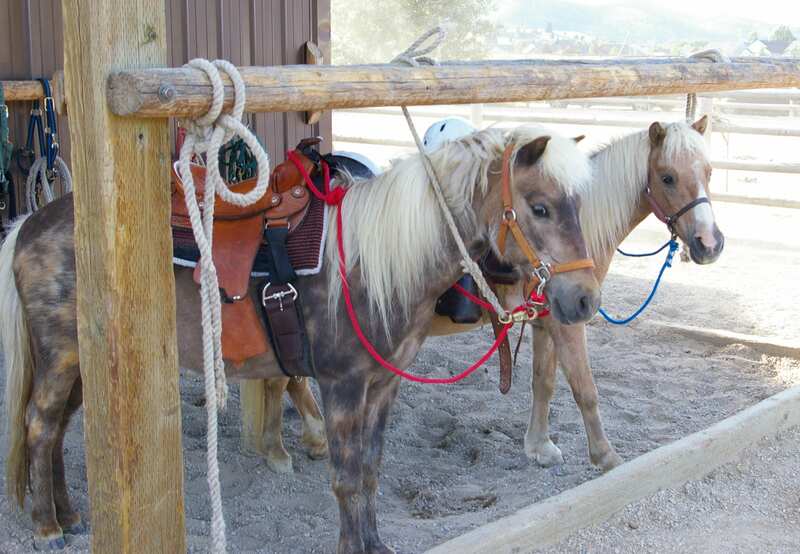 These two resilient and brave little ponies have brought much joy to children of all ages at Dunrovin Ranch. 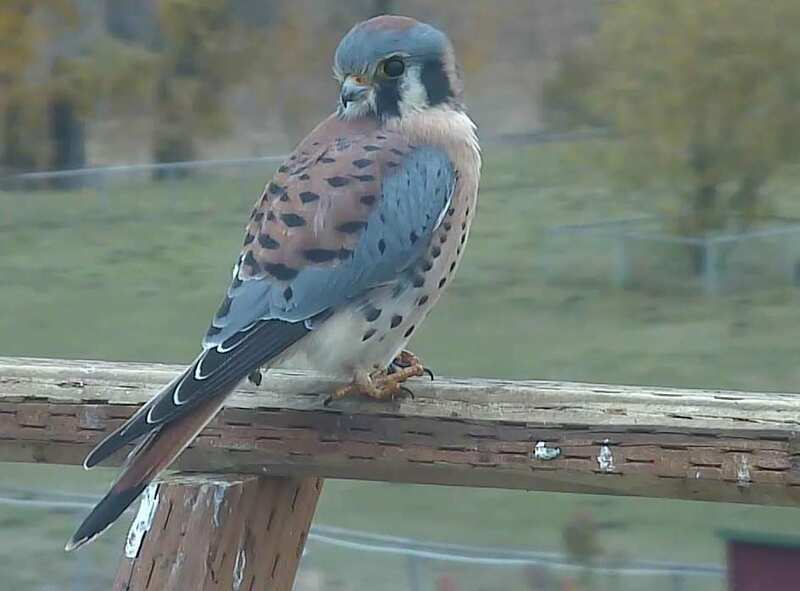 Two of Dunrovin Ranch's web cameras are out-of-reach for routine cleaning and maintenance. 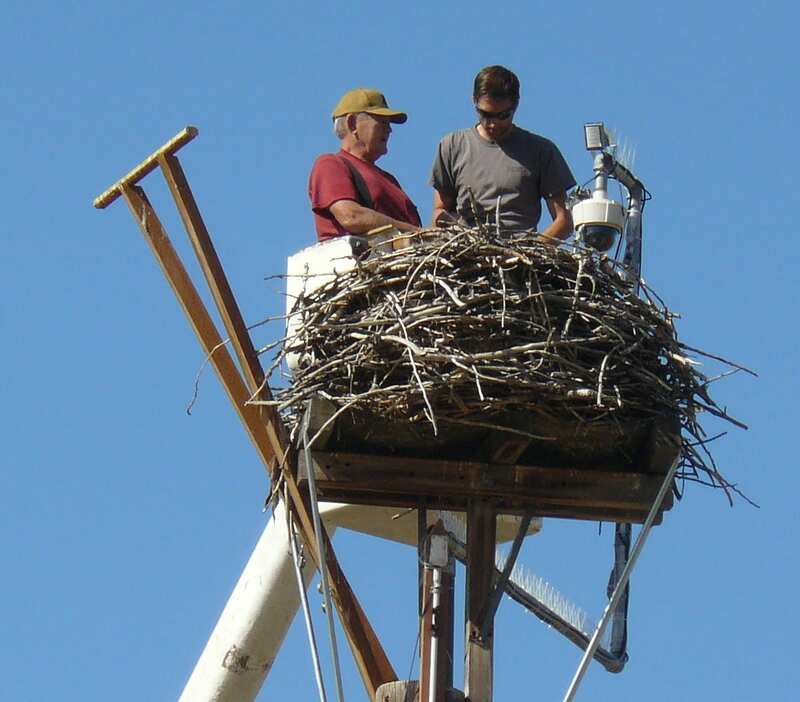 Both the osprey nest webcam and the ranch webcam sit atop of high poles. Assistance from a bucket truck with a skilled operator is needed. Furthermore the maintenance schedule is dictated by the ospreys! It is in human nature to be connected to nature. Being in nature contributes in so many ways to our well being. But it is not always possible to outside in nature. 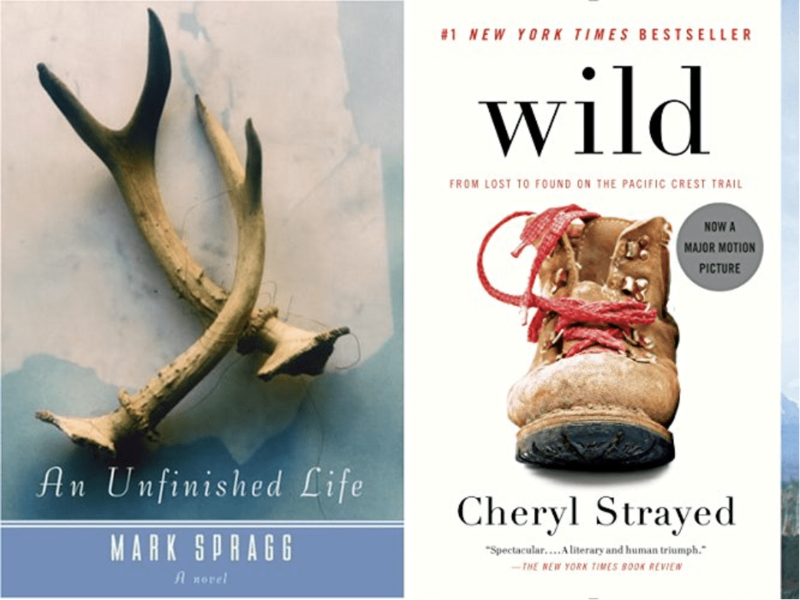 Luckily there are ways to connect with nature regardless of where you are; and there are people like Hobie Hare to guide us along the way. 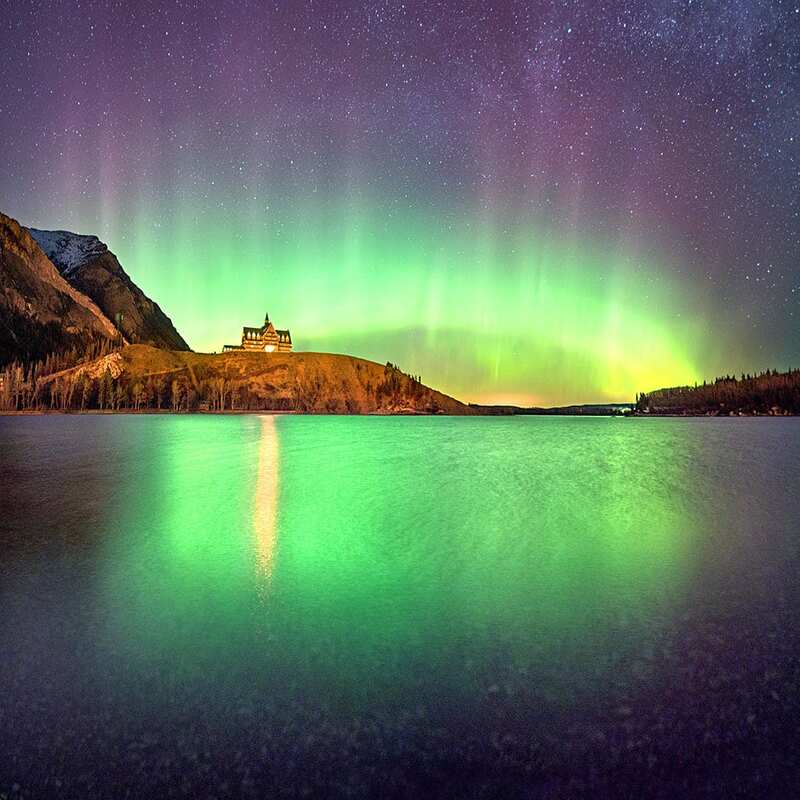 Montana is blessed with Big DARK Night Skies that allow us all to enjoy its spectacular celestial wonders. Join astronomer Diane Friend and photographer John Ashley for educational romp through Montana's night skies. 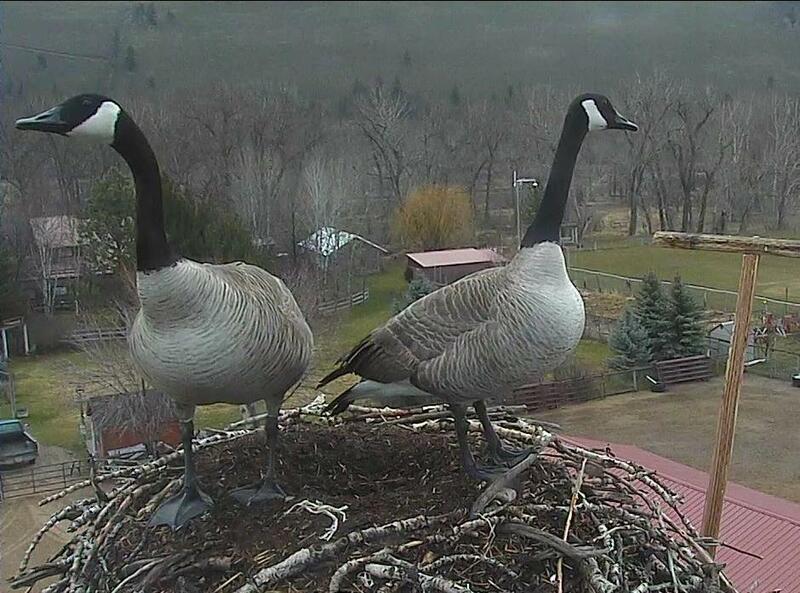 We love the Canada Geese - EXCEPT when they attempt to steal the ospreys's nest and make it their own. But we've got plans to deter them! 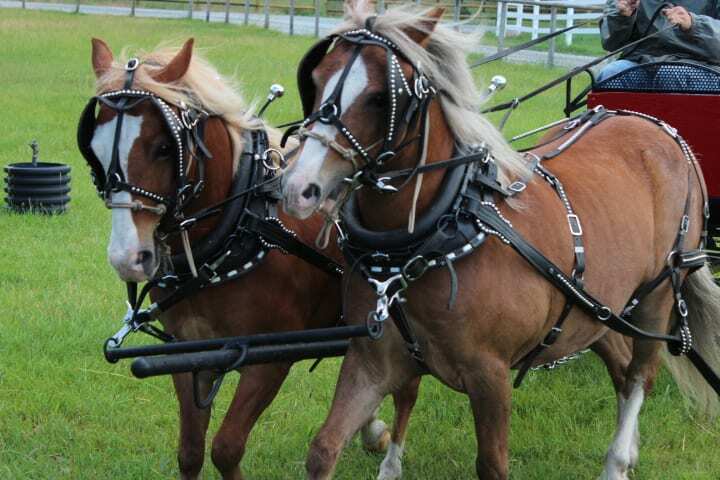 Dunrovin Ranch did not plan to own a team of ponies and drive a carriage - but it happened and we have been having fun with these two ever since. Nothing can adequately explain our love for two birds that know or care nothing about us! 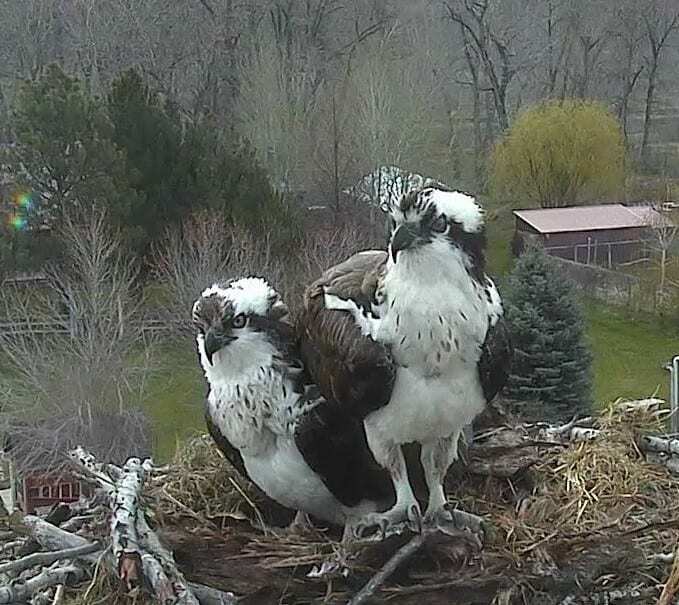 Each year we wait for their return to the Dunrovin osprey nest. 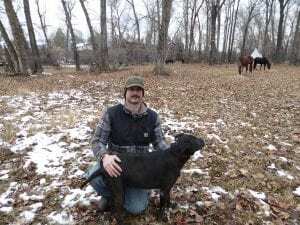 Not all of Montana's birds fly south for the winter. Some stay right here to enjoy the bird feeders. that you can share with friends. 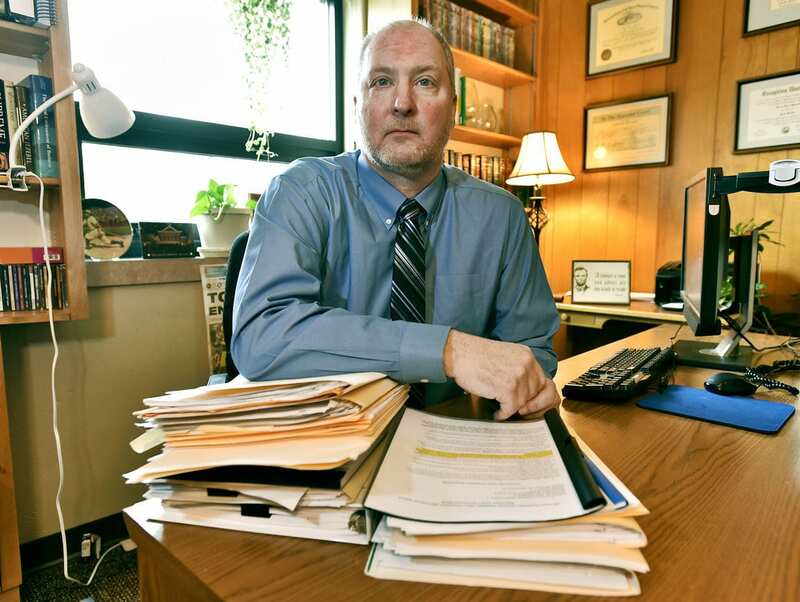 Take a deep dive into learning about two famous American defense attorneys, Clarence Darrow and F. Lee Bailey. How did Dunrovin get its name? 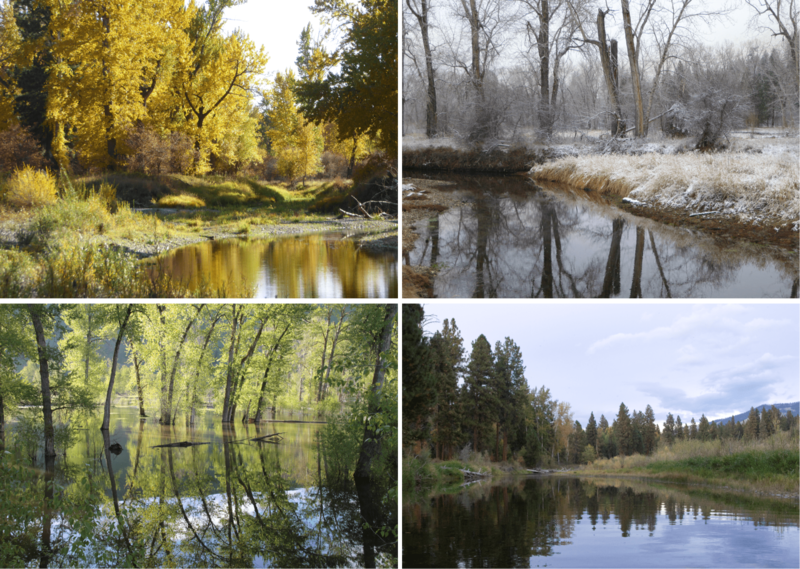 Learn about Dunrovin's four web cameras. 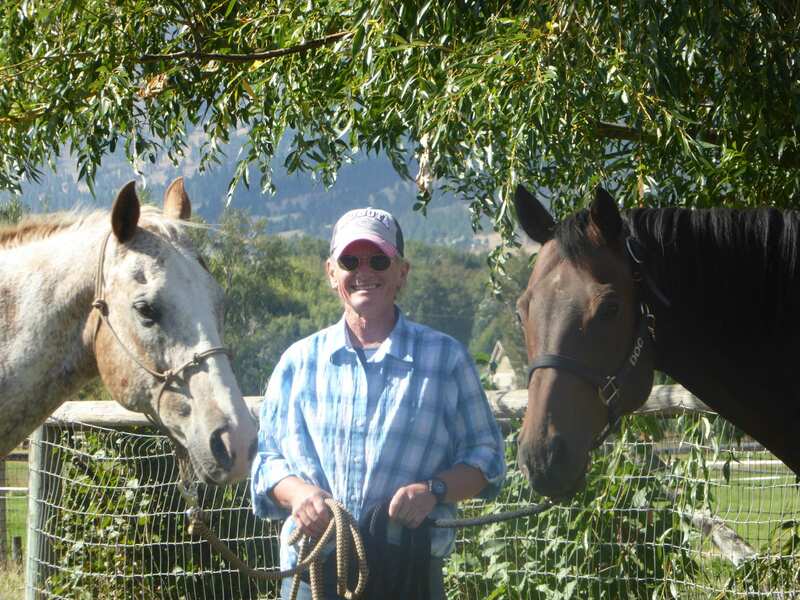 Ranch Manager lost her long-time horse partner Doc. Now she starts a new relationship with Crow. The horse herd stays warm in winter. Kola often runs on three legs.